Proportional control. Fails safe on loss of external power. DPS Digital Positioning System pre-installed. Control signal I/O can be 0-10V or 4-20mA. BSR Battery back-up ystem installed. Can be configured fail closed, or fail open on loss of power. Respect maximum and run torque figures. Model number indicates run torque in Nm. 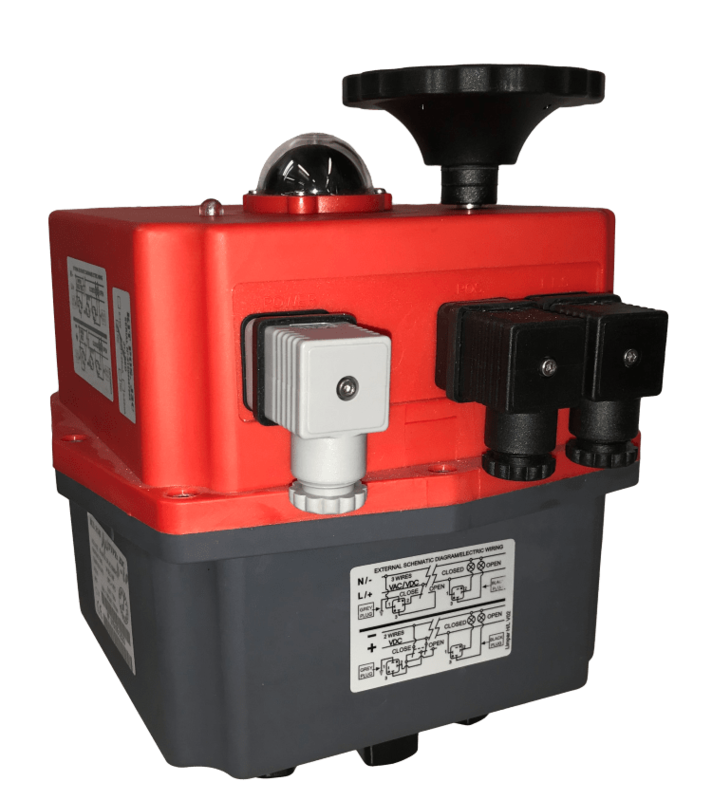 EU manufactured J J electric actuator Model J3C-H offers many user friendly features as standard including 85-240V AC/DC multi-voltage capability, a multi-colour LED status light, an electronic torque limiter and a an IP67 fully weatherproof plastic housing. 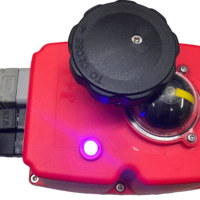 This single phase failsafe modulating version uses an internally installed position system employing digital position sensing technology for accurate positioning called DPS. 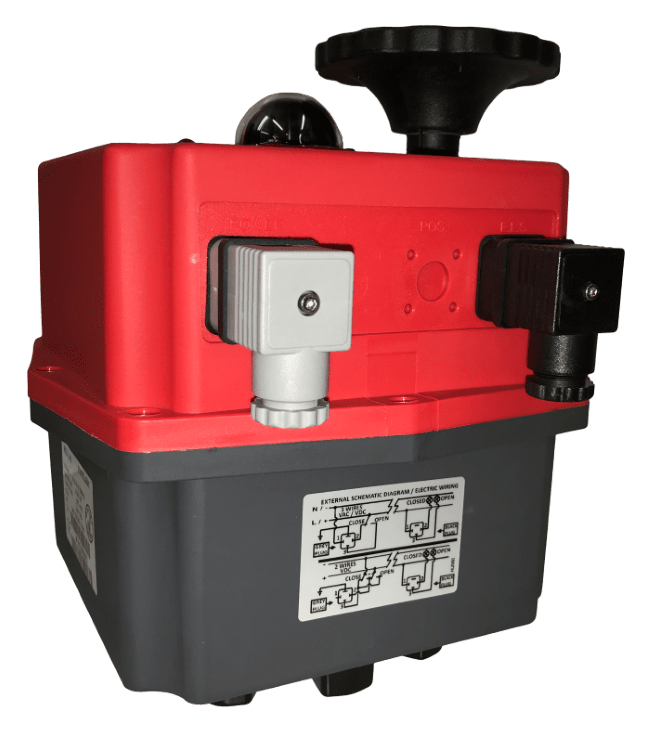 It also has an internally installed battery back-up system called BSR to send the actuator to a pre-set ‘safe’ position should external power be lost. 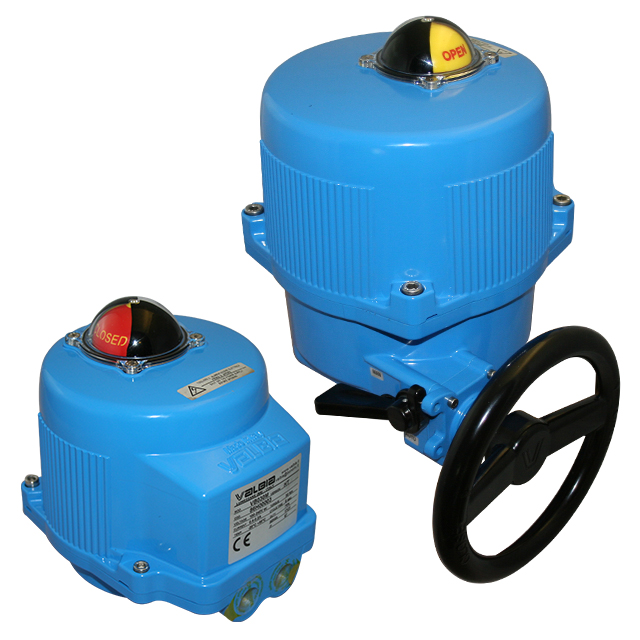 You can buy all your electric actuators and actuated valves online at AVS.